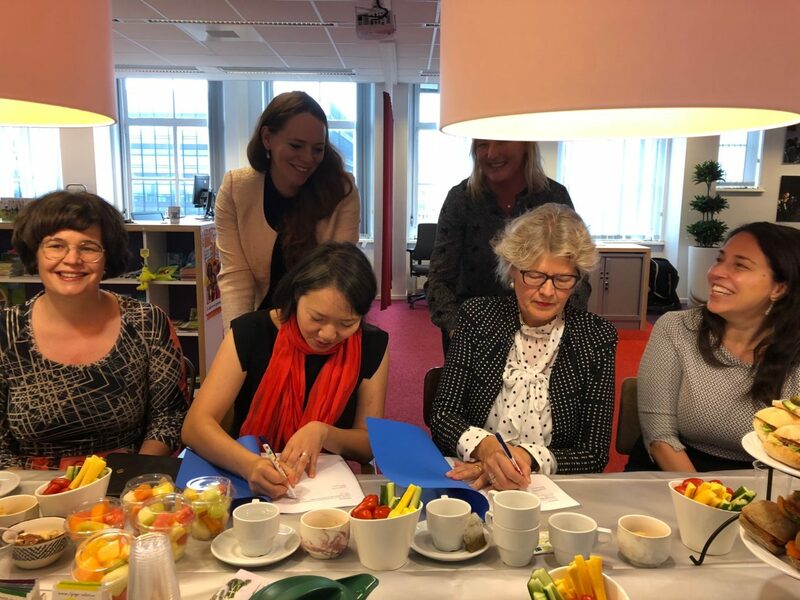 The Bernard van Leer Foundation and Amsterdam’s Public Health Service (GGD, in its Dutch acronym) have entered a new phase in their cooperation. BvLF and the GGD have been working together since 2016 and signed a new Memorandum of Understanding to extend the partnership until the end of 2020. An overarching aim is to learn even more from the Amsterdam Healthy Weight Programme, executed by the GGD together with partners. The Amsterdam Healthy Weight Programme aims to ensure that all children in Amsterdam have a healthy weight by 2033 and includes a ‘first 1000 days’ action plan, recognising the importance of getting children off to a good start in life. BvLF sees in this programme an opportunity to develop a cross-sectoral model of promoting responsive parenting and healthy lifestyles that can be shared with other cites in the Netherlands and internationally. In terms of national sharing, Amsterdam and BvLF are working together in a learning trajectory for other Dutch municipalities and their partners within the Dutch national Programme Social Domain. For international sharing, a city-to-city peer learning network will be developed. Specific investments will be agreed in the coming months based on opportunities identified across the city and in particular neighbourhoods, together with local communities. They will focus on community-based behaviour change programmes; using behavioural insights to improve existing parent-child services; addressing parents’ consumer behaviour to improve young children’s food intake; improving breastfeeding outcomes through better data collection and research; and applying an Urban95 lens to promoting healthy lifestyles by making it easier to be active in the city. Read more about the Amsterdam Healthy Weight Programme on the municipality’s website and in the latest edition of our journal, Early Childhood Matters.